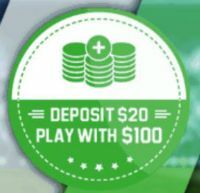 Best betting sites Australia, the one stop guide for top 6 sports betting websites with full reviews and details on our top 6 choices:product features, betting promotions and betting odds for different sports, mobile betting and other betting services. We have taken into consideration multiple factors to choose the best 6 online bookmakers for Australian users. While in other markets bonuses were a key factor, for Australia we count these the least as welcome offers are not available to users from NSW, VIC, WA and SA territories. So, we have heavily relied on betting odds and services provided along with any product features that users can take advantage along the way, especially for horse racing like protest payouts, best Tote or SP. That is why we have assessed each offer individually into consolidating the below top 6 list of Australian betting sites. All bookmakers in the top 6 list above are regulated by the laws of an Australian territory like Northern Territory Government. In 2001, Australia has passed the Interactive Gambling Act which prohibits the provision and advertising of online interactive gambling services to Australian users. The term of “interactive gambling” refers to casino or poker games. That being said, a handful of Australian set businesses licensed by N.T. provide online sports betting services. Attention: please note that welcome bonuses were suspended for Australian users due to local restrictions. Users still looking to bet online can still do so by registering an account with any of the above recommended bookmakers. For new users we recommend registering the account from the “Bet Now” button above, our recommendation is Unibet, so make sure you are using the registration code for Unibet. Welcome bonuses are dedicated to new user registrations only and as stated above not all Aussie users can take advantage of due to regulatory requirements from states like NSW, VIC, WA and SA. Product features are something that all existing customers can take advantage of. Each bookmaker website listed above comes with a set of features that can add extra value to users. And as horse racing is the number 1 betting choice in Australia, we are dedicating this section to the value offered on these markets. Features like Owners Payout, Lay of the Day or Protest Payout from Unibet are set to bring extra winnings, better odds or winnings on relegated horses to punters on horse racing or Harness races. More such features like Odds Boost, Best Tote or SP or Past the Post Payout are also out there with selected bookmakers from our list above. Each online bookmaker sets its own betting odds for all sporting and non-sporting events. Although odds may be in the same range among all bookies as these are set by mathematical probabilities of the outcome, odds have some value variations and may fluctuate until the event has finished. These fluctuations are done systems designed to balance the book. The odds variations are set to encourage or discourage bets on specific markets up to the point of balancing bets on all outcomes. Each bookmaker also has set margins for each sport or competitions, which is their target profit from the bets turnover. This also affects odds and the value. From the list above, each bookmaker excels at different sports – and with the odds changes we will find competitive odds with every one of them. On Betfair Exchange however please note that a winning fee is not included in odds, and this will be deducted when the outcome is set – this will translate in a lower value than anticipated only from the odds. 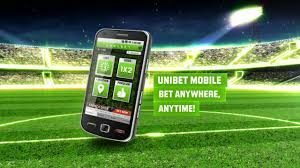 Betting from mobile devices has become reality with the high smartphone and internet penetration. No need to call the bookie’s Call Center to place a bet anymore – simply accessing the betting account from a phone or tablet can do the trick. Just like in the case of using a PC, bettors can now access all betting markets while on the move and place bets directly from their devices. All sportsbooks from the top 6 list above offer account access over mobile devices either through the use of their website (mobile optimized to fit on small screens) or in many cases through the use of mobile apps. For many users this is a great advantage to access the same betting offering while away from a PC. Live betting section offers the opportunity to bet on sporting events while in play. 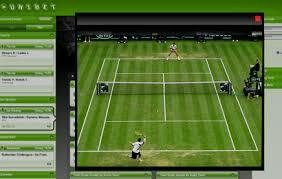 While this involves a different kind of betting behavior, live betting is a popular option among many users. From the regular betting markets like final result, over/under, correct score to the more specific live betting markets such as next goal, next fault.. all of these are available within the live betting section. Betting offers are different from a sportsbook to another, with top bookies listed above offering various markets and betting choices. Unibet leads the way with over 165,000 live events covered every year, along with Live streaming on selected events. Such integrated services are also offered by Bet365, while the live betting feature is something common for the list compiled of top 6 best Australian betting websites. Taken all the above factors into consideration, we have build this list of Top 6 Sports Betting sites for Australia recommended for 2019.